Since the initial plantings of Rosemary and Lavandin the Devco and its Farmers have been fully committed to organic farming, but the road has been a bit bumpy. Because the old agricultural fields have been greatly overutilized in the past to produce vegetable seed, the soil is depleted of nutrients and soil organic matter. Residual pests such as plant parasitic Nematodes also pose a big challenge. This means that the costs for organic production are high, whilst the yields are low. 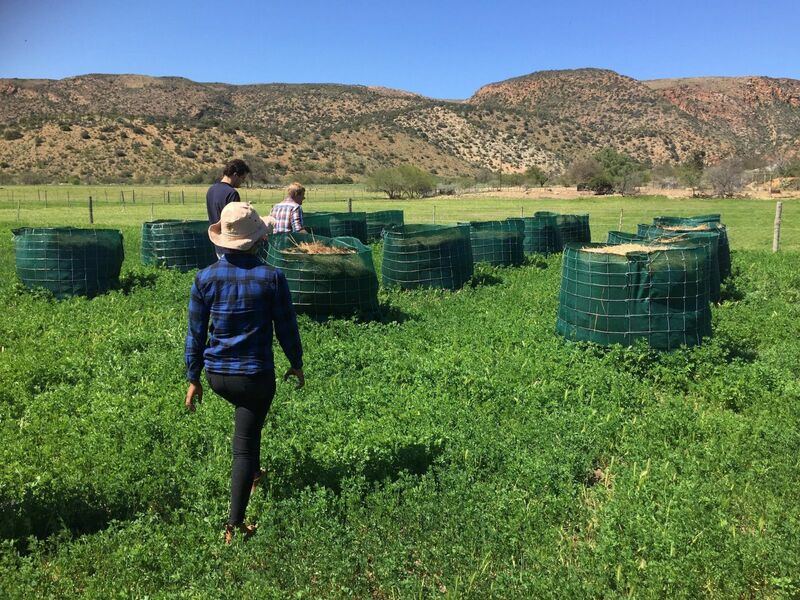 Early this year, the Baviaanskloof Devco realized something had to change to improve the business case. After a period of planning and research, in August 2018, the Devco, in partnership with Living Lands, launched a Regenerative Agri project were the focus is to build soil organic matter in the agricultural lands. The project is part of holistic regeneration of the entire valley, where we are now integrating the work that’s already being done to restore degraded hillsides, with work to also restore soil fertility on cultivated fields in the valley. The strategy focuses on three mutually beneficial pillars to rehabilitate the agricultural lands and in so doing increase water storage and productivity of the lands. The first pillar of the project aims to re-mineralise the soil and balance the soil chemistry to rectify deficiencies caused by the past extractive agriculture. 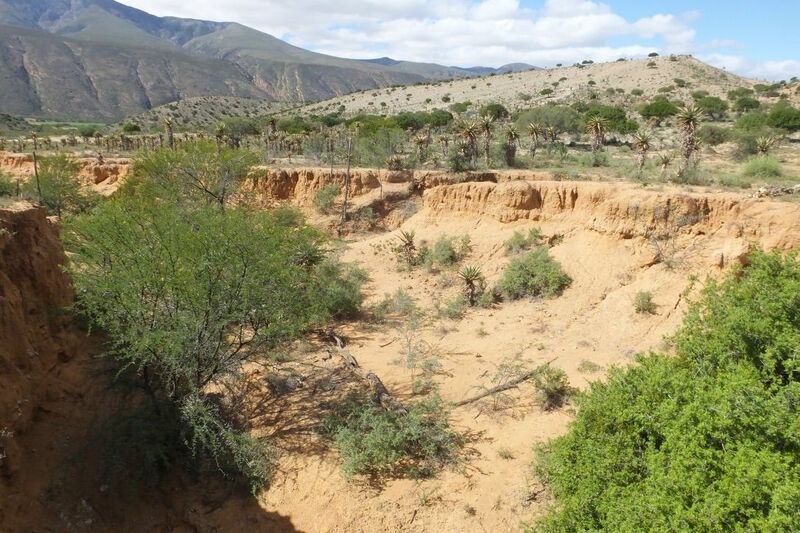 Baviaanskloof Devco produces its own mineral mixture – custom made – to restore the mineral balance on the fields. 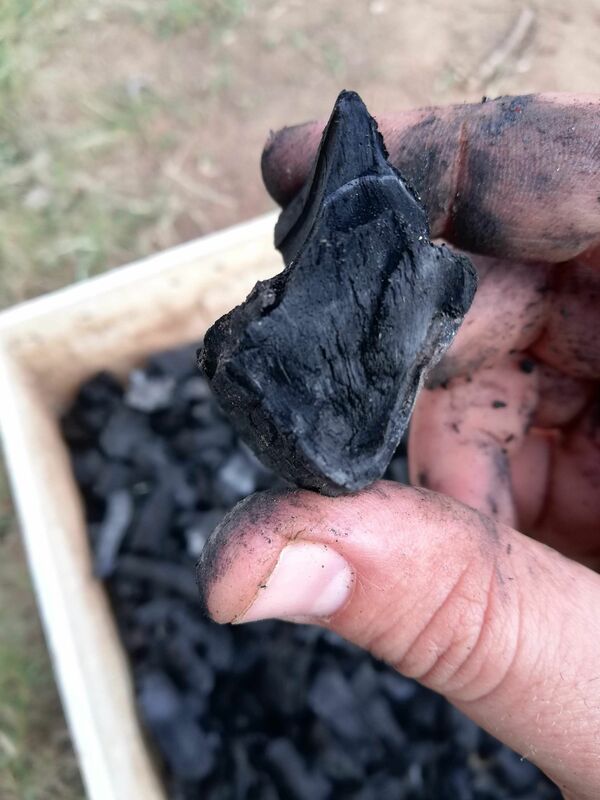 With this, stable carbon is introduced into the soil in the form of Bio-char and compost. The idea is to start quickly building soil carbon levels that help maintain moisture and prevent leaching of nutrients. Secondly, the biology in the soil is stimulated by introducing bacteria and fungi in the form of various compost teas and as concentrates through the drip irrigation system. The Devco is producing all these inputs on site and on the farms, using local resources as much as possible – which in return stimulates entrepreneurship and job creation in the area. Finally a thick cover crop or green manure is planted between the essential oil crops. The sheep and goats of the farmers will be used to graze on this cover crop to recycle the plant material into the soil. The farmers have done trials with this, and the goats and sheep don’t eat the essential oil crops, so this is a very good strategy to generate multiple layers of income from the same field. On top of that, this strategy is aimed to regenerate the soil health, but also to remove stock out of the field that is being restored. 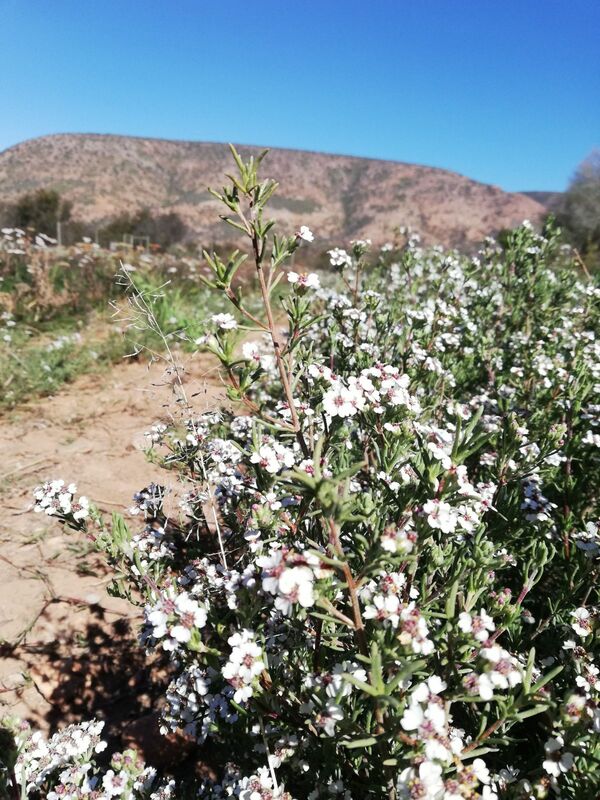 The Devco and its Farmers are very excited to start production on the Kapokbos (Eriocephalus africanus L.), an indigenous shrub endemic to the region. The Kapokbos is a winter flowering shrub and works well with our other types of herbs as it can be distilled in the ‘off’ season when the distillery isn’t busy with Rosemary or Lavandin. It yields a beautiful blue oil that has a similar scent to the German Chamomile but with a definite fruity South African twist. Trial plots have yielded excellent results and plans are underway to establish fields by the winter of 2019 for full production in 2020. The oil, although new in the market, has fantastic potential as it is useful in everything from scenting baby products to helping sooth anxiety and, according to traditional knowledge, has an excellent stimulating effect on the skin and hair and was traditionally used as a hair growth tonic.